So this week summer has waved good by and the temperature has dropped. 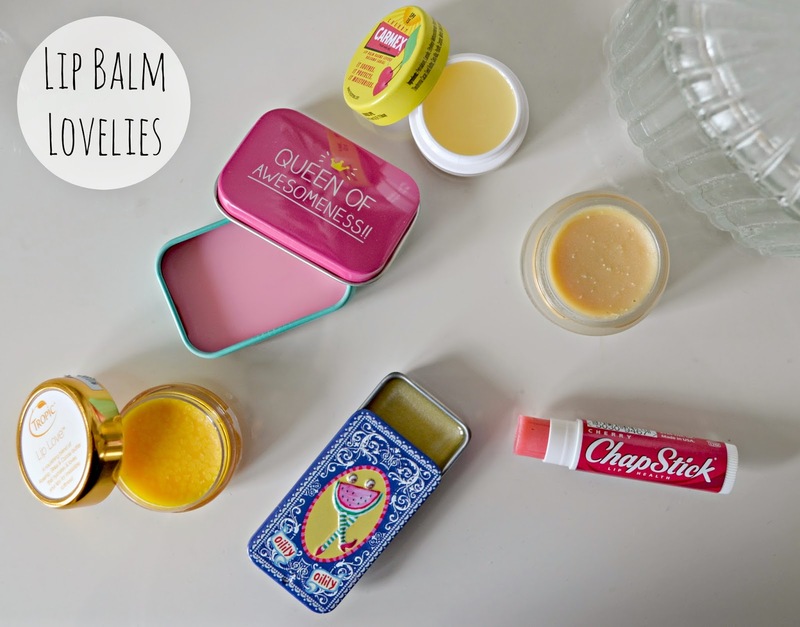 As well as reaching for my cashmere cardie and slippers (I'm such a granny) I've been piling on the lip balm as a change in temp always makes my lips dry. 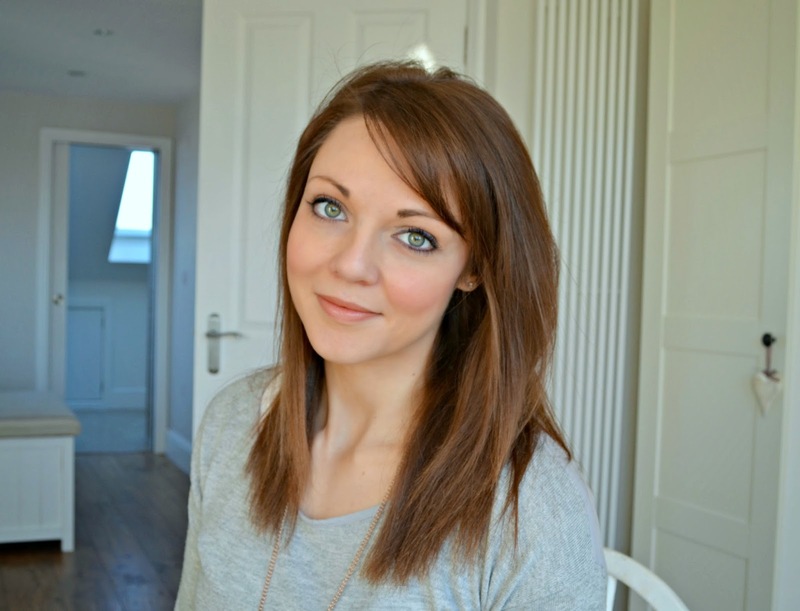 Being the spoilt blogger that I am, I've had a load of balms to try and so here are my thoughts on them. 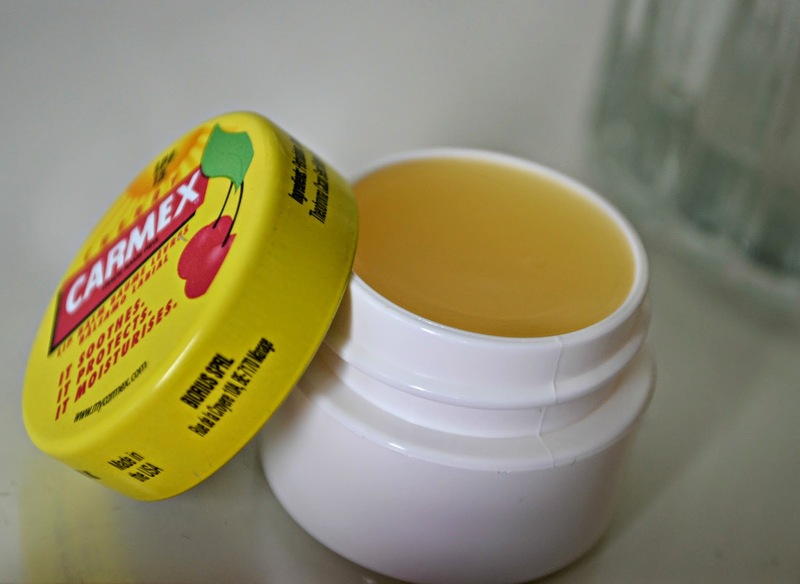 Carmex Cherry (£2.69 Boots): Carmex is the lip balm of my teens and early twenties, I still love the tingle and super moisture boost it gives. Pop it on over night at the fist sign of dry lips to keep them at bay. Love the classic, but the cherry is a fun alternative too. 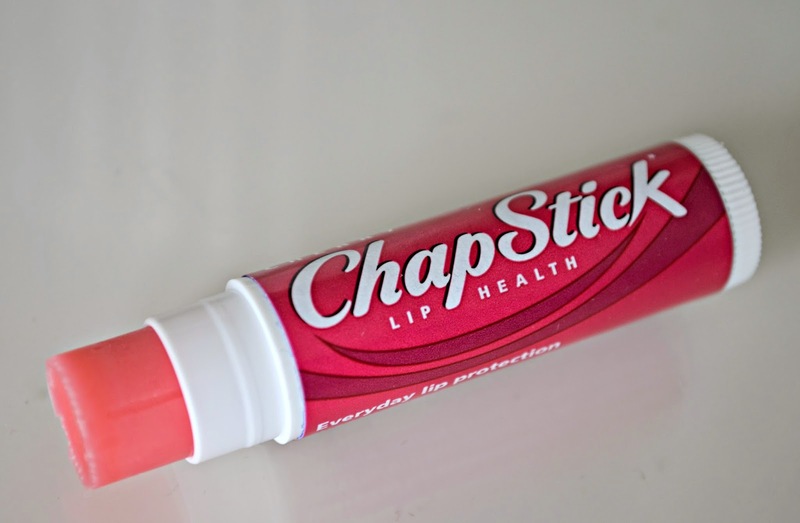 Chapstick Cherry (£1.05 Boots): At just over a pound, this is a bargain stick, perfect to grab on the go and keeps lips smooth and soft The cherry stick also gives a hint of colour to the lips too. 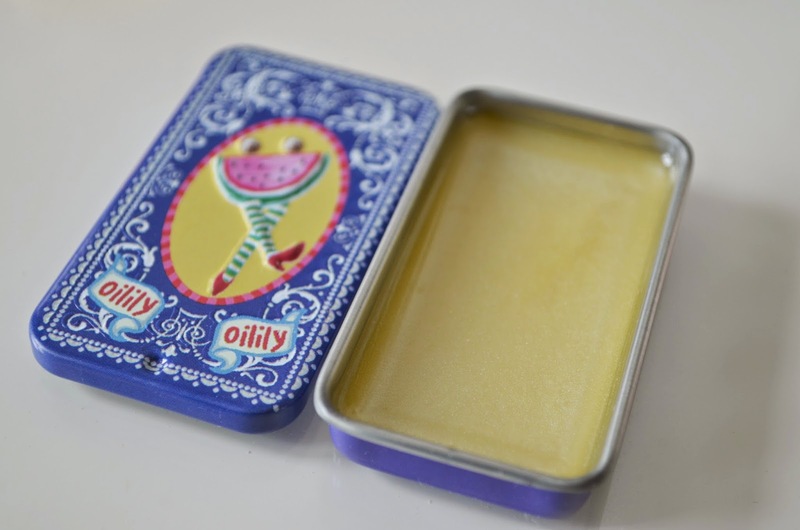 Oilily Girls Melon lip balm (£3 Childs Play Clothing): Who doesn't want a lip balm in a dancing watermelon tin? I can't really detect the melon fragrance but the tin is so cute with its sliding lid. 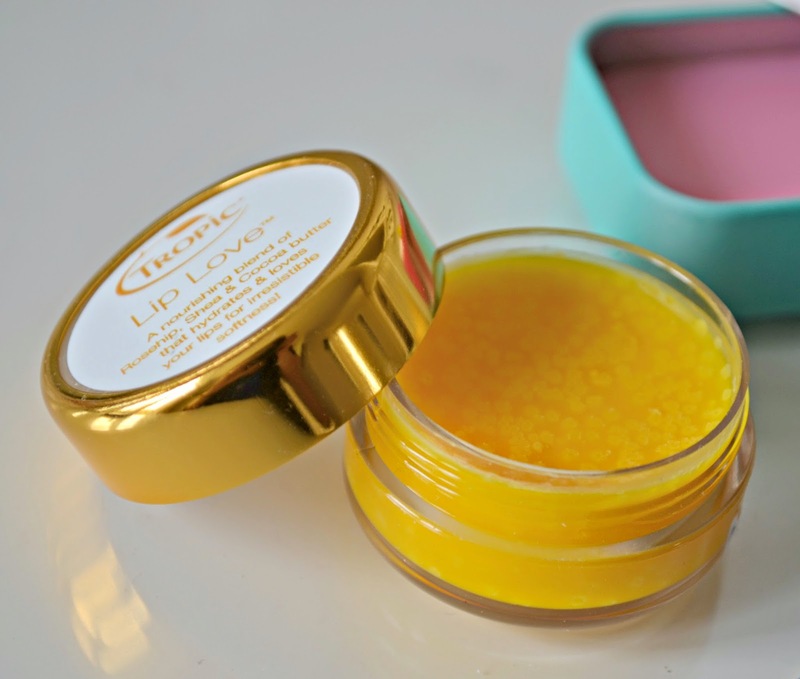 Tropic Lip Love (£5 Tropic Skincare): From 2010 Skincare Apprentice contestent Susan Ma, this lip balm smells amazing and tropical with orange and peppermint extract. The first time I used it, I was unimpressed - but you have to 'dig in' to the balm to get enough to apply properly. The peppermint makes your lips tingle slightly and the Rosehip, Shea and Cocoa butter hydrate your lips. 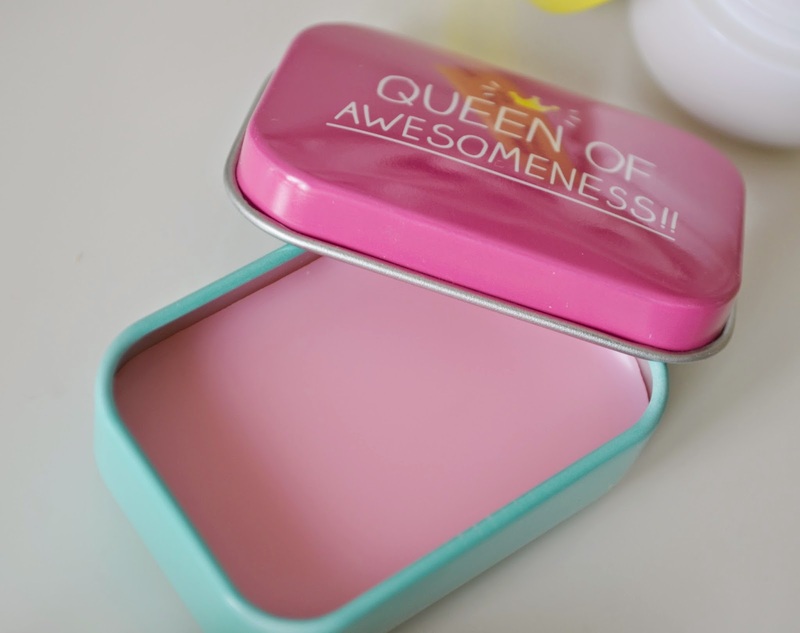 Happy Jackson Strawberry Queen of Awesomeness lip balm (£3.95 John Lewis): I LOVE THIS TIN! So cute and perfect for handbags or pencil cases. The strawberry flavour is a bit sweet and synthetic of my taste, but the beeswax and coconut oil make it a hard working balm. 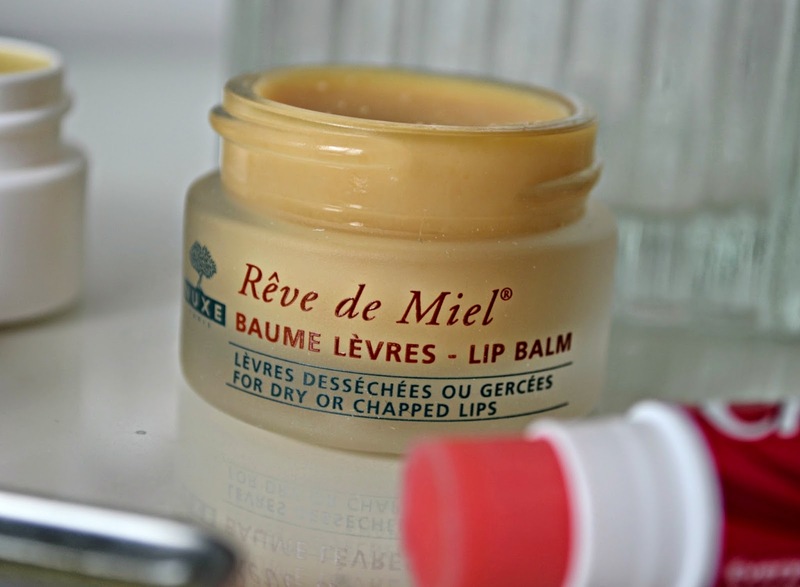 Nuxe Reve de Miel (£9.50 M&S): Expensive, I know, but I love this lip balm. The classic, heavy glass pot is stylish and lives on my dressing table for morning and evening application - I couldn't bear to lose this beauty. Containing honey, plant oils, shea butter and grapefruit essence is is my lip balm luxury.